An Orange County rug store rolls out the outdoor rugs to welcome the summer! When we think of rugs we think of fun ways to decorate our homes. Living rooms and dining rooms usually get a great makeover with a perfect fitting rug. With so many trends of colorful and patterned rugs available, you can switch up any room, depending on your mood! However, we forgot one thing. This summer why not snaz up not only your home but also your backyard, front porch, or patio. Yes, outdoor rugs are sweeping in as this seasons must haves. During the summer months we spend a lot of time outdoors. BBQ’s and parties are always bringing guests onto our porches, decks and backyards. Usually we take the time to pick out nice patio furniture, lanterns and garden nick-knacks, yet we forget about accessory rugs that can make any doorstep and patio look festive. Choose from floral or tropical patterns to bold, bright summer colors. They can also be matched to your outdoor pillows and cushions. These rugs can be switches up, swept, washed and they now are made not to fade in the hot summer sun. The best part is they are the perfect size to put away during the winter months. 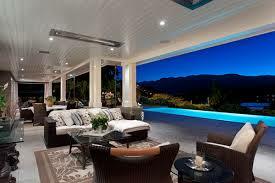 Outdoor mats also look great in houses that have sunrooms or covered patios. Usually, those rooms get the most traffic during the warmer months and mats can prevent from brining in too much debris, yet they keep the rooms looking homey and lived in. 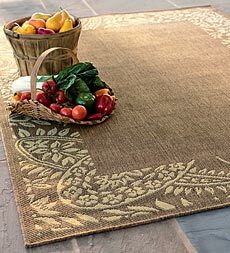 Outdoor rugs are great accessories for kids birthdays as well a graduation parties as they play the ambiance of any home and they double up as wonderful house warming presents. Many folks move into new homes during the summer months so why not surprise them with a beautiful outdoor rug that will match their new patio set. If you are interested in shopping around for outdoor rugs, professionals at Rugco, a respected Orange County rug store specializing in various rugs from fancy antique persian rugs to traditional rugs, and everything in between, can help you find the perfect selection for your backyard, patio or porch just in time to welcome the summer.